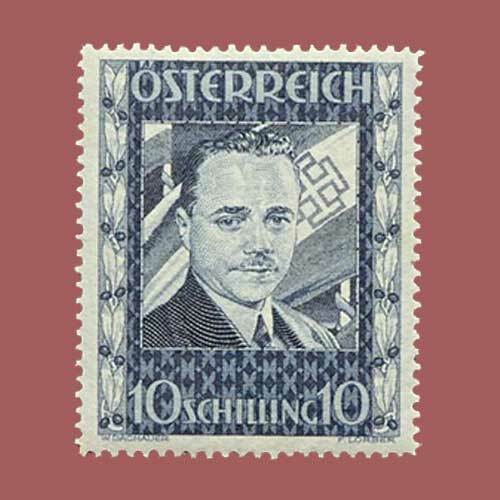 The 10sh Dollfuss stamp is quite a rare stamp issued by the Austria Post, it was issued in 1936. This stamp was printed in blue colour. This stamp features Engelbert Dollfuss –an Austrian Statesman form 1932 to 1934. He is responsible for destroying the Austrian Republic and establishing an Authoritarian regime based on conservative Roman Catholic and Italian Fascist principles. He was assassinated by the raid executed by the Nazis’s on the Chancellery. This stamp was sold during the David Feldman auction for 3,937 dollars in May 2014.